It’s the season of giving, so we’re giving you some great deals on Corvette parts & accessories at Corvette Pacifica! 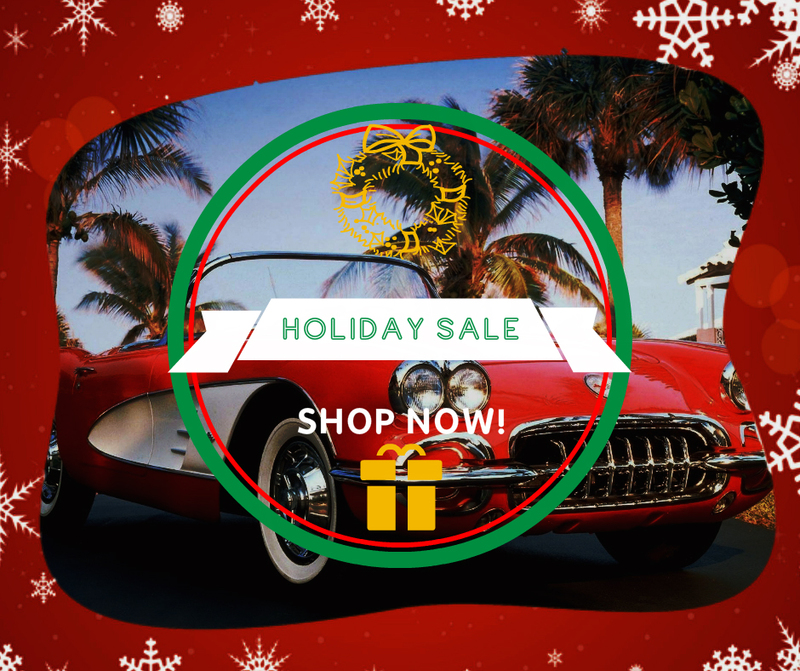 From 12/8 to 12/12, we are offering our best offer of the year so you can gift your Vette with new parts or favorite Corvette fan with new some great new apparel or accessories! It’s a great time to stockpile parts and fill your garage for car show & cruising season next summer! We’re giving you two great options to save this weekend! 5% OFF & FREE SHIPPING any order over $75 with HOLIDAY5. It’s been a great year here at Corvette Pacifica, so we would like to thank our customers with some extra discounts and savings. We’ve added some of our best sellers to our Top Products List, and some new featured brands including Lloyd’s Floor Mats, Dewitt’s Radiators, and Magnaflow Performance Exhaust to meet your needs! Click Here To Start Shopping and Save! Next Next post: The best C1-C6 Corvette Carpet Kits are available here!